It started as an epic 13-storey treehouse filled with fantastic inventions like the rocket powered carrot launcher and the Ninja Snail Training Academy. Soon it grew to 26 storeys and now a mind-blowing 52-Storey Treehouse is coming to Melbourne to wow children of all ages. Come take a look. 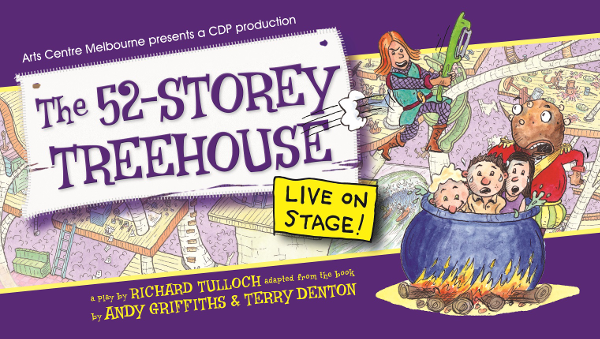 The best-selling award-winning series of books by Andy Griffiths and Terry Denton has been transformed into an amazing live stage play that no youngster will want to miss. The 52-Storey Treehouse takes place on a very special day, it’s Andy’s birthday, but Terry has forgotten! To make matters worse Mr Big Nose has mysteriously disappeared and Jill has fallen into a deep sleep and they just can’t wake her up. Andy and Terry set off on a crazy adventure tackling a world of startling obstacles including a hungry caterpillar, an angry vegetable kingdom and a 100 year ninja-snail epic voyage. Will they solve the mysteries and survive the dangers that test even their ingenuity? 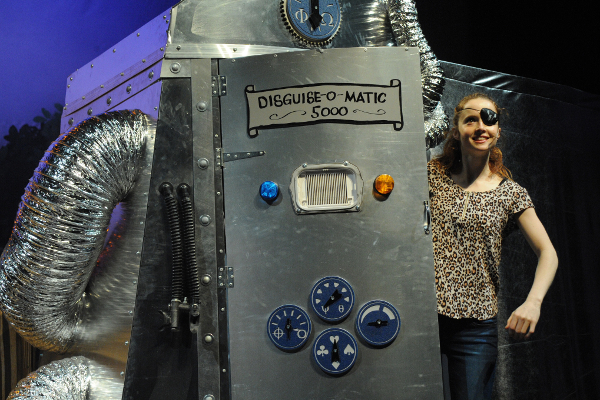 This energetic play goes deep into the zany and wondrous world created by the beloved Griffiths and Denton duo that has captured the imaginations of children for years. 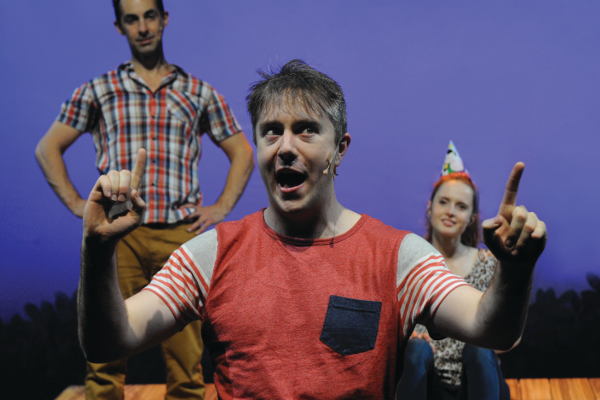 Adapted by Richard Tulloch, Andy Griffiths himself gave the play “five and a half million stars!” It showed in Sydney last year and won the 2015 Sydney Theatre Award for Best Production for Children. Showing at Melbourne’s Arts Centre from 1-17 April, 2016, including AUSLAN-interpreted performances. Tickets are priced from $26-39 and can be bought online at Arts Centre Melbourne where a full listing of events times and details are also available.